Pro-Health Product Limited, the leading medical model training products supplier in China, was founded in 2007 and is specialized in providing high-performance medical products, laboratory consumables, medical and pharmaceutical promotional products, patient education and training products. The company is headquartered in Guangzhou, China. In 2008, the company received CE and ISO13485 certification. Later it was upgraded to ISO9001 certification as their medical products are US-FDA registered. Their main products include pill storage cases and pill counting trays. Their manufacturing factory consists of over 3, 000 square meters and is an integral part of PRO-Health Product with 100, 000-class injection clean workshops and packaging clean rooms with advanced tools. Under the guidance of QC specialists, there are four core centers namely the production center, packaging and repackaging center, quality control center and warehousing. Their varied services include OEM/ODM development, prototyping, molding and tooling, sourcing and branding, warehousing and QA/QC. 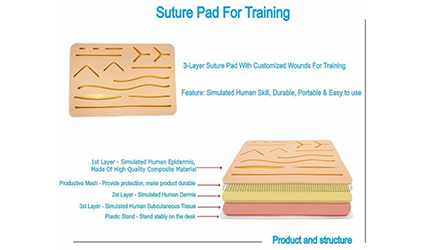 Click here to learn more about medical training products.